Editor’s Note: This article appeared in the Tillamook County Library’s Winter 2019 newsletter, and reprinted here because of the important message. We will be highlight the many valuable services that the Tillamook County Library provides throughout our communities. From a young age, Andy Long recognized the value of a public library in his life. He watched his mother studying at their living room table nearly every evening, as she worked on her college degree. A single parent, she knew the value of education for herself and her kids, a key to a better life. The library and the parks and recreation district were cherished resources and were a great way to have healthy activities for a low-income home. “I felt like I was busy all the time and always had something to do, and if there was idle time I would have a at least a couple of books from the library,” said Andy. Andy would often find himself lost in a book at the Eugene public library, or a quiet corner of home. He’d set his sights on a career in the Coast Guard and knew that he needed to have a solid foundation in math and reading comprehension in order to meet the tough requirements to enlist. 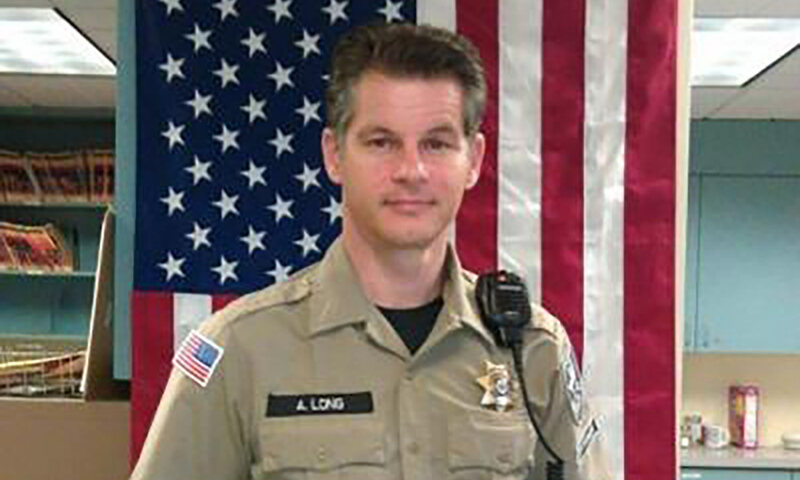 Books and access to his public library gave him the knowledge he needed, setting him on a career path that has led him to be the sheriff of Tillamook County. Access to books and improving adult literacy remains one of his goals, as the Sheriff oversees the county jail, and inmates wanting to improve their lives. Reading comprehension is needed for inmates working on their GED, participating in alcohol and drug rehabilitation, and anger management programs. A large percent of jail inmates have some level of difficulty in comprehending written materials, with reading levels below seventh grade levels or the challenges of English as a second language, the Sheriff says. That same difficulty, unfortunately applies to many communities. The library provides the jail with a regular supply of paperbacks on demand. Although reading and GED programs have been a tough to keep in the jail, due to resources and instructors when available, inmates can work on their GEDs and participate in rehabilitation programs, funded by a grant from the Oregon Department of Corrections through Community Corrections. “I’m certain that in communities without a healthy library, and positive activities for especially young people, there will be tougher challenges for law enforcement,” he says.